Among the most famous monuments at this site are a Libyco-Punic Mausoleum, the capitol, the theatre, and the temples of Saturn and of Juno Caelestis. 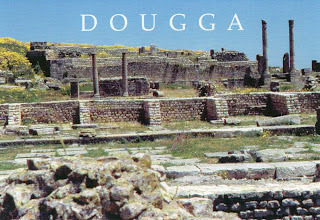 The archaeological site of Thugga/Dougga is located in the North-west region of Tunisia, perched on the summit of a hill at an altitude of 571 m, dominating the fertile valley of Oued Khalled. 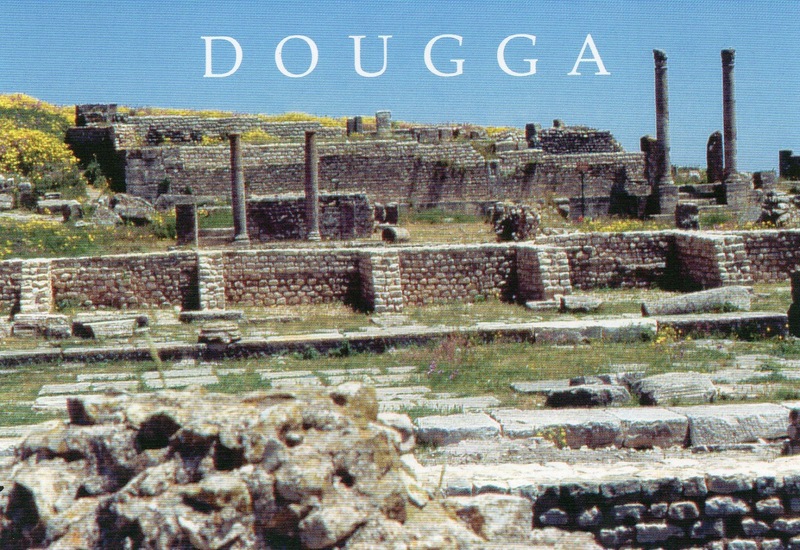 Before the Roman annexation of Numidia, Thugga had existed for more than six centuries and was, probably, the first capital of the Numidian kingdom. It flourished under Roman rule but declined during the Byzantine and Islamic periods. The impressive ruins which are visible today give an idea of the resources of a Romanised Numidian town.